It carried 5,000 pounds of experiments. Packing this thing must have been like an epic game of Tetris. 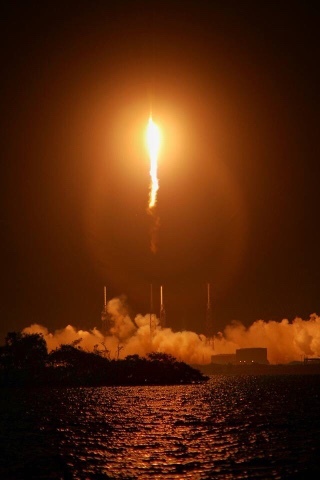 At 12:45 a.m. EDT on July 18, the sky lit up over the Cape Canaveral Air Force Station in Florida with the launch of the SpaceX Commercial Resupply Services-9 (CRS-9) mission. The Dragon cargo craft flew through the clouds toward the ISS on a two-stage Falcon 9 rocket. Dragon will arrive at the ISS at about 7 a.m. EDT Wednesday morning (July 20), according to NASA officials. Approximately 2.5 minutes after liftoff, the Falcon 9’s first stage separated and performed a series of engine burns to head back to Cape Canaveral. At 12:53 a.m. EDT, the booster successfully touched down just miles south of the launch pad, as intended. A sonic boom could be heard as the craft reentered the atmosphere, followed by cheering from everyone watching from the causeway. Nailing the landing (quite flawlessly, we might add) was not the only great thing about this launch, though. Astronauts aboard the ISS can expect almost 5,000 pounds of new hardware and experiments in this delivery. So what exactly did NASA put in their latest care package? Perhaps one of the most exciting items has to do with our very own DNA. Before this handy tool, DNA testing aboard the space station required collecting samples and returning them to Earth. NASA’s Biomolecule Sequencer Investigation will test a new device that will allow DNA sequencing in space for the first time. The samples in the first test will be DNA from a virus, a bacteria, and a mouse. 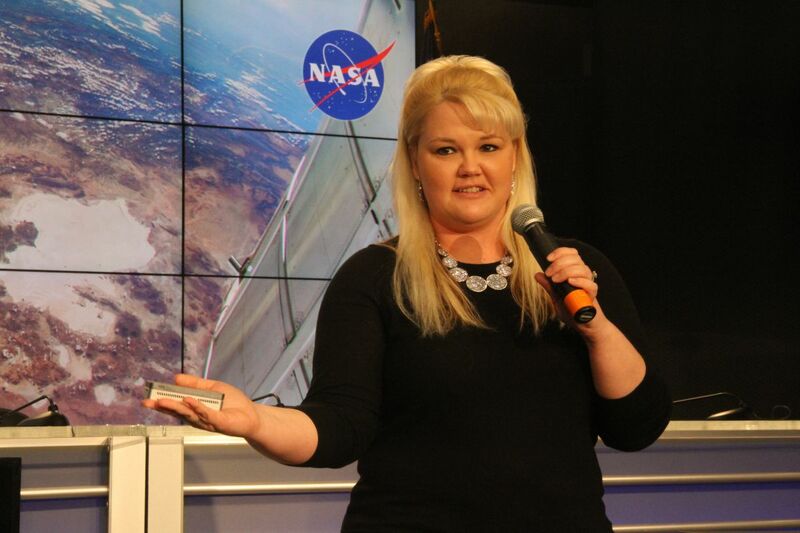 When NASA microbiologist, Sarah Castro-Wallace, showed it off pre-launch on NASA TV, she pulled it right out of her pocket. 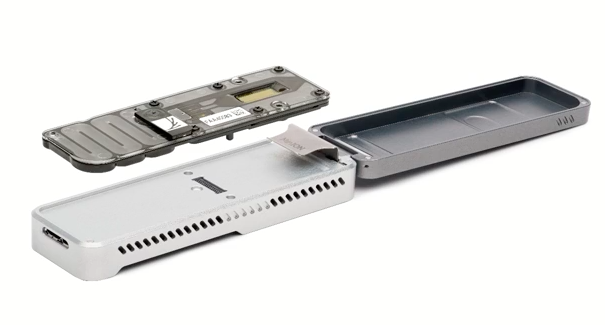 The miniature device has the potential to do more than just sequence DNA. It can also sequence other biomolecules such as RNA and proteins. It can even identify microbes, diagnose diseases, and evaluate crew member health, and even (someday) help detect DNA-based life elsewhere in the solar system. One of the best parts? It’s powered by a tablet that’s already on the ISS via USB connection. Oh, and it was built all in 10 months and is commercially available off the shelf. The first of two international docking adapters (IDAs) being sent to the ISS will allow commercial spacecraft to dock to the station when transporting astronauts in the near future. 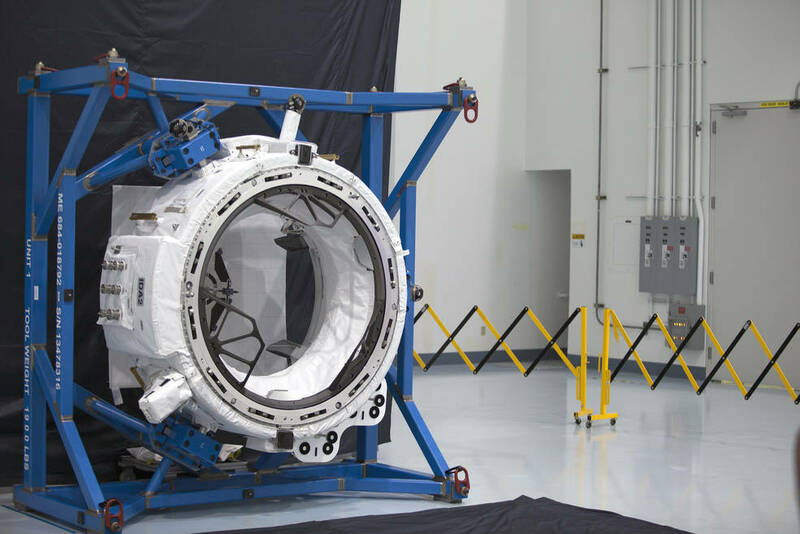 Part of the Commercial Crew Program, this 1,000-pound metallic ring represents the first on-orbit element built to the docking measurements that are standardized for all the spacecraft builders across the world. The first users are expected to be the Boeing Strainer and the SpaceX Crew Dragon spacecraft, which are both now in development. One of the best parts about the IDA is that it is designed to work with automated guidance systems on arriving spacecraft, so they can safely dock to the station with little, if any, crew intervention. The station’s robotic arm will retrieve the IDA from the unpressurized trunk of the Dragon. Spacewalkers will complete the installation of the adapter in August. Does the ISS Have AC? The goal of the Phase Change Material Heat Exchanger (PCM HX) project is to regulate internal spacecraft temperatures. Inside this device, NASA is testing the freezing and thawing of material in an attempt to regulate temperature on a spacecraft. 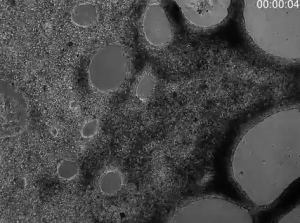 This phase-changing material (which has the consistency of a mineral oil) can be melted and solidified at certain high heat temperatures to store and release large amounts of energy. The focus of the investigation is NASA’s multipurpose crew vehicle, the Orion that’s headed toward the Moon. The Moon provides a very harsh environment. It’s of upmost importance to make sure the astronauts are safe and comfortable. OsteoOmics is an experiment that will investigate the molecular mechanisms that dictate bone loss in microgravity. It does this by studying osteoblasts, which form bones, and osteoclasts, which dissolve bone. New ground-based studies are using magnetic levitation equipment to simulate gravity-related changes. Bruce Hammer, professor at the University of Minnesota Center for Magnetic Resonance Research, showed a video showing bugs (ants, spiders, and a grasshopper) navigating this faux microgravity environment. This experiment hopes to validate whether this method accurately simulates the free-fall conditions of microgravity. Results from the study could lead to better preventative care or therapeutic treatments for people suffering bone loss on Earth and in space. The goals of the Effects of Microgravity on Stem Cell-Derived Heart Cells investigation include increasing the understanding of the effects of microgravity on heart function, the improvement of heart disease modeling capabilities, and the development of appropriate methods for cell therapy for people with heart disease on Earth. Pretty much every system is affected by the microgravity environment. But we know very little about what happens at a tissue cellular molecular level, says Peter Lee, assistant professor of surgery at Ohio State University. Using induced pluripotent stem cells (IPSCs) means that the research team can produce heart cells without performing surgery on a patient. The team will be sending the cells to the ISS for one month. Astronauts will be looking at changes in gene expression, beating rate, and cell shape and size. 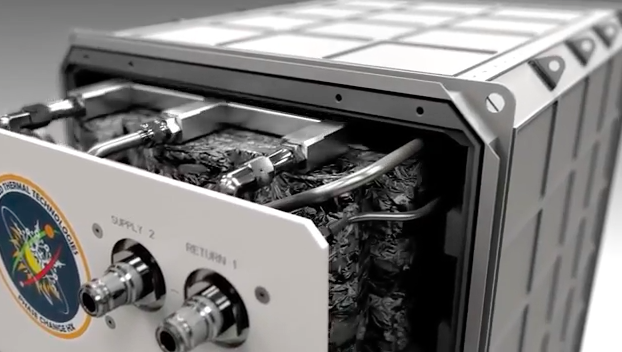 You can watch the full video covering what’s on board the SpaceX dragon here. Dragon is scheduled to depart the space station Monday, Aug. 29. After splashdown in the Pacific Ocean, west of Baja California, more than 3,300 pounds of science, hardware, crew supplies, and spacewalk tools will be returned to shore.